33 Crosby was our first collaboration with Miansai. 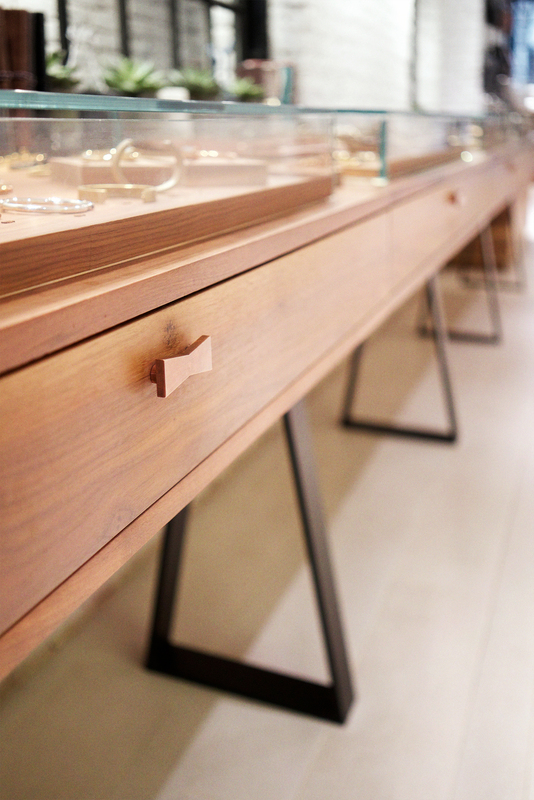 We were tasked with furniture design and fabrication for Miansai's flagship retail store in Soho. Riffs of our Dovetail Bench leg permeate the space and support a number of black walnut retail fixtures, vitrines, and casegoods.